Progressive Money are part of The Darwin Group, an award winning North West based financial services business. We provide unsecured lending to homeowners throughout the entire UK. We’re also proud to be named as the 29th fastest growing businesses in 2016 by the Sunday Times Fast Track 100. 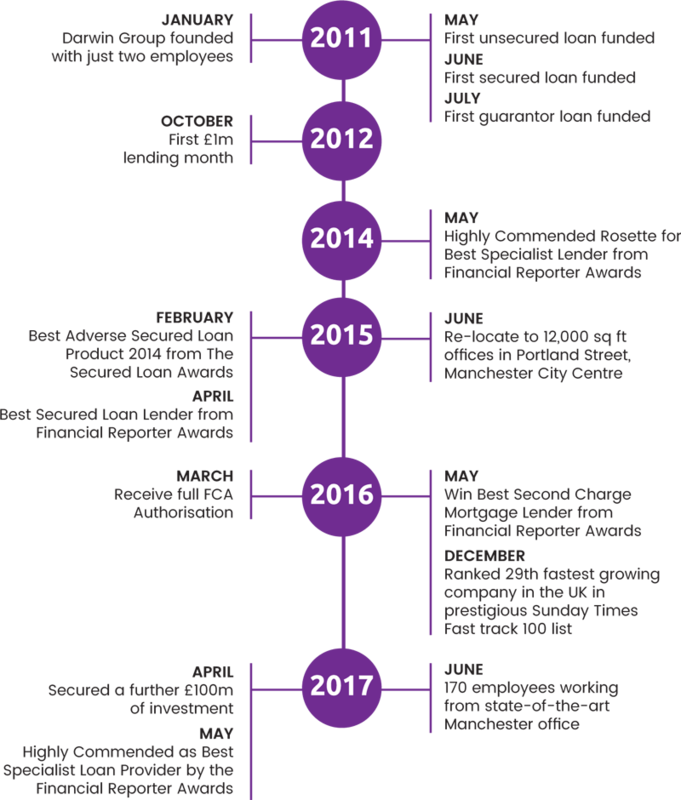 From our city centre offices in the heart of Manchester, we employ over 170 staff to manage all aspects of the lending journey. When our customers contact us, they deal directly with UK based experts. We do not outsource any stages of our lending process. It is our firm belief that access to finance shouldn’t be dictated by a credit score alone. ‘Computer says no’, is not in our vocabulary. At Progressive Money, we ensure that each potential borrower is treated as an individual rather than a number. We take the time to find out the reasons for those late payments or any other reason that could have impacted on a credit score. To us it’s called intelligent lending. As the big banks lending criteria has tightened, many people have discovered they are no longer deemed lendable. For many, that can be a shock, unaware their credit rating isn’t good enough until they attempt to apply for a loan. Progressive Money see that as a challenge. We tackle this problem head on and contest the status quo when it comes to lending and personal finance. Trust remains our most important characteristic. We support a number of causes. Be part of a diverse and skilled workforce. See how our customers rate us on Feefo.